The rhetoric of the past election cycle has insulted, demonized, and threatened many of us – immigrants of all statuses, Muslims and those of diverse religious faiths, people who identify as LGBTQIA, Native people, Black and Brown people, people with disabilities, survivors of sexual assault – and our communities are hurting and scared. We are confronted with the question of how to move forward in the face of national and international concern and fear. In the spirit of democracy and honoring the champions of human rights, dignity, and justice who have come before us, we join in diversity to show our presence in numbers too great to ignore. 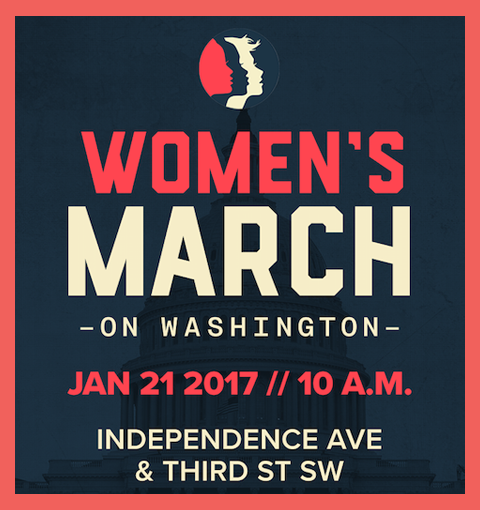 The Women’s March on Washington will send a bold message to our new government on their first day in office, and to the world that women’s rights are human rights. We stand together, recognizing that defending the most marginalized among us is defending all of us. We support the advocacy and resistance movements that reflect our multiple and intersecting identities. We call on all defenders of human rights to join us. This march is the first step towards unifying our communities, grounded in new relationships, to create change from the grassroots level up. We will not rest until women have parity and equity at all levels of leadership in society. We work peacefully while recognizing there is no true peace without justice and equity for all. Viele meiner Freundinnen und Freunde in den USA sind heute in Washington oder bei einem der vielen „Sister Marches“ in anderen Städten dabei. Auch in Deutschland, z.B. in Heidelberg, Düsseldorf oder Berlin wird demonstriert.